2019 is the year of the Pig. Jaquet Droz honors the twelfth and last animal in the Chinese Zodiac cycle with four exquisite examples of craftsmanship. Jaquet Droz celebrates Dubai with a model combining the singularity of its dial with the identity of the capital and its eponymous state. Very attached to the nature and to the art of Astonishment, the Jaquet Droz Boutique in Paris wanted to surprise once again its passionate clients. Sheathed in black ceramic, boasting a dial with blued steel screws and white gold indexes, and worn on a blue canvas strap, the Grande Seconde Skelet-One Ceramic by Jaquet Droz solidifies its modern, masculine identity. DFS Masters of Time, an exhibition of fine watches and jewellery, returned to Macau celebrating its 10th anniversary at DFS’ T Galleria store in the Shoppes at Four Seasons complex. On Thursday, November 22nd, Jaquet Droz, in collaboration with private bank Lombard Odier, celebrated its 280th birthday in the heart of Geneva, a city cherished by the brand. Beijing, China, November 14th, 2018 – The Swiss luxury watch brand Jaquet Droz unveiled a new incarnation of the Tropical Bird Repeater in a unique variation available in exclusivity for the Chinese market. A green peacock steps onto the stage, displaying its plumage against a lavish backdrop in a new interpretation that conjures the Art of Astonishment by Jaquet Droz. On October 18th, the Petrovsky Passage hosted a gala evening dedicated to the 280th anniversary of Jaquet Droz. In the setting of a fantasy garden, the anniversary collection of the unique haute horlogerie masterpieces was presented to the guests. Jaquet Droz and its partners - Tourbillon boutique in San Francisco on September 26th and L’oro Jewellery in Toronto, Canada on September 28th - collaborated in special evenings of craftsmanship and art appreciation. Jaquet Droz celebrates this year its 280th anniversary. For the occasion, Haute Horlogerie enthusiasts were invited to discover the exhibition "Story of the Unique" unveiling a historical retrospective and the presentation of Jaquet Droz’s new collections with the presence of the CEO, Mr. Christian Lattmann. Until September 22, Lobachevsky Plaza Fashion Gallery hosts the exhibition devoted to the 280th anniversary of Jaquet Droz brand. The Parrot Repeater Pocket Watch is one of Robb Report’s 2018 Best of the Best winners! The extraordinary timepiece represents the entire spectrum of Jaquet Droz craftsmanship. It also carries on the long tradition of automata originally established by Pierre Jaquet-Droz, pushing new technical, creative and artistic boundaries. T Galleria by DFS, Macau, City of Dreams presents the Jaquet Droz "Story of the Unique" Exhibition. 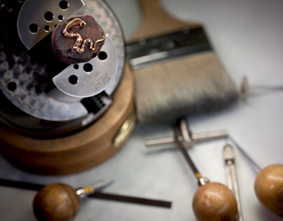 Launched in celebration of the brand’s 280th anniversary, the exhibition runs until October 23 and showcases the heritage and the devotion of the brand to crafting exceptional timepieces. Jaquet Droz celebrates its 280th anniversary in collaboration with the Swiss retailer Kirchhofer. It has been the turn of the Thai capital, Bangkok, to welcome the Jaquet Droz Basel Novelties with the presence of the Vice President and Head of International Sales, Mr. Aellen. It is in a tropical atmosphere that Jaquet Droz has presented its new 2018 collection in the heart of Paris. Jaquet Droz embraces the natural world once again. In a new ultra-limited series (Numerus Clausus 28 pieces), the Ateliers d’Art at Jaquet Droz are breaking creative boundaries to immortalize the mighty lion. King of the animals, the extraordinary big cat is a mystical and mythological icon of power and strength. It is this historic and aesthetic tradition that Jaquet Droz celebrates today as part of its 280th anniversary. With the Grande Second Tribute, limited to 88 pieces and presented in an exclusive box, it is the first time the brand offers a wristwatch version in yellow gold. On April 11, Jaquet Droz inaugurated its first boutique in Dubai in the legendary Dubai Mall, marking a major milestone in the watchmaker’s global expansion. On the occasion of its 280th Anniversary, Jaquet Droz inaugurated an exceptional exhibition that will be held from 4 to 15 April at PISA Orologeria, in Milan. Jaquet Droz is celebrating its 280th anniversary in Galaxy Macau with a special exhibition dedicated to the heritage of the brand. The Parisian address of the songbirds brand, hosted its Chinese and Russian partners for a traditional cocktail in a festive musical atmosphere. ON THE CUSP OF ITS 280TH ANNIVERSARY CELEBRATIONS, JAQUET DROZ OPENS A NEW BOUTIQUE AT WYNN PALACE, MACAU. Since its inception, the brand known by its twin stars has displayed a special passion for nature and birds, inspiring pocket watches and automata. Jaquet Droz and its retailer Johnson Watch Co invited around 70 VIP guests to a special jazz evening in New Delhi, India. It has become a tradition for Jaquet Droz to invite its loyal friends and watch lovers to celebrate Chinese New Year over a traditional lo-hei salad in partnership with The Peak magazine. Jaquet Droz and Prince Club located at Pekin Road, organized a special event to honor the 280th anniversary of the brand. Switzerland’s luxury watch, brand Jaquet Droz has announced the opening of its first boutique in the Dubai Mall, inviting connoisseurs, collectors and watch aficionados from the Middle East to explore and discover the 280-year-old legacy of the brand. The Nicolas G. Hayek Center, located at the heart of Ginza, Japan’s iconic luxury shopping area, welcomed for the first time the Tropical Bird Repeater during a special event. 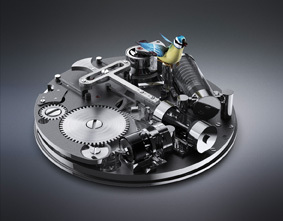 The Tropical Bird Repeater, a new creation in the Jaquet Droz Automata Collection, was revealed for the first time in Europe on November 30 during a press day for Swiss and international media outlets, followed by a soirée for Jaquet Droz customers with a passion for fine watchmaking. Wednesday November 15, 2017, Australia hosted an exceptional event that brought together the three prestigious Houses of Jaquet Droz, Breguet and Blancpain. After Beijing and Hong-Kong, Jaquet Droz new automaton, the Tropical Bird Repeater, has been presented for the first time in Singapore on November 13. Echoing the strong historical links that bind the famous watchmaker to the Middle Kingdom, the opening of the automaton exhibition, which is the only one of its kind, was celebrated in the well-known Shin Kong Place shopping mall, dedicated to the most prestigious international brands in fashion and luxury, including the Jaquet Droz boutique. Among the most exclusive and complicated timepieces exhibited at last weekend’s WatchTime New York event at Gotham Hall were two Jaquet Droz chiming automatons: The Charming Bird and the Loving Butterfly, introduced this year. The Lady 8 Flower has been reborn to pay homage to fine jewelry. This timepiece marries the emblematic esthetics and mechanics of the Jaquet Droz brand, and is an ode to poetry and femininity. On September 29., Jaquet Droz presented the new Loving Butterfly Automaton and the Charming Bird in Moscow Tourbillon Boutique, in Russia. The Grande Seconde collection redefines contemporary watchmaking with new timepieces blending strength of character and purity of lines. Enhanced by the contrast between black Grand Feu enamel and vibrant miniature painting, a lion, flamingo and koi carp conceived in the Jaquet Droz Ateliers d’Art awaken a desire to travel to exotic destinations with a new interpretation. Jaquet Droz organized a series of events in Sydney and Melbourne to introduce its astonishing world and exquisite timepieces to the Australian market. On July 6 and 7 Jaquet Droz honored the art of miniature painting on enamel at the Marina Bay Sands in Singapore. 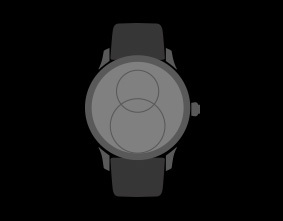 In honor of the 7th edition of the Only Watch, Jaquet Droz presents an exceptional Grande Seconde Off-Centered model that raises money for the fight against Duchenne muscular dystrophy. On June 22nd and 23rd, the Jaquet Droz boutique, located 8 rue de la Paix in Paris, hosted its annual Post Basel Novelties Presentation in the presence of the brand CEO, Mr. Christian Lattmann. The subtle marriage of form and material highlights masculine, sporty elegance. On June 7th, Jaquet Droz held a Sino-Swiss culture lecture at the Beijing Ritz-Carlton. As pure as they are elegant, two new versions of this iconic model celebrate the expertise and excellence of Jaquet Droz. The Jaquet Droz Petite Heure Minute Thousand Year Lights is one of Robb Report’s 2017 Best of the Best winners! For the first time in Vietnam Jaquet Droz presented its creations adorned with birds - the Bird Repeater, an authentic automaton equipped with a minute repeater and the Charming Bird, the first miniature singing bird on a wristwatch. Jaquet Droz recently organized a private cocktail in Geneva devoted to the presentation of its exceptional timepieces. Jaquet Droz is presenting its iconic Grande Seconde Off-Centered model in four versions with a diameter of 39 mm. On May 25th, Jaquet Droz presented its 2017 novelties to local collectors and watch aficionados during an exclusive event in Singapore. Six new timepieces honour the art of paillonné enameling, an ornamental treasure preserved by Jaquet Droz. During the month of May, Elegant Watch & Jewellery in Hong Kong is paying a tribute to the craftsmanship of Jaquet Droz’s Ateliers d’Art creations through an exclusive exhibition. A masterpiece of watchmaking craftsmanship, the new automaton revealed by Jaquet Droz is truly a piece of art come to life, presenting an allegory of love and nature. Jaquet Droz is presenting two new models of the Petite Heure Minute Relief Seasons which portray the magic of spring and the splendor of summer. The two timepieces bring together unrivaled wonder, beauty and mastery. A rare gemstone with a legendary aura, astorite adorns the dial of the Jaquet Droz Petite Heure Minute just in time for the lovers’ holiday, giving birth to a new symbol of elegance, femininity and passion. As the Chinese calendar turns to the New Year under the sign of the Fire Rooster, Jaquet Droz introduces four models, the result of extraordinary collaboration between the Ateliers d’Art, thus celebrating the historic ties between China and brand known for its twin stars. [November 10, 2016 – Tokyo, Japan] The second joint boutique with Jaquet Droz and Glashütte Original is now renovated and has opened its doors to customers at the Nicolas G. Hayek Center in Ginza, Tokyo. As Diana Vishneva holds her fourth Context festival of contemporary dance, Jaquet Droz is proud to count the celebrated Russian ballerina as its ambassador. 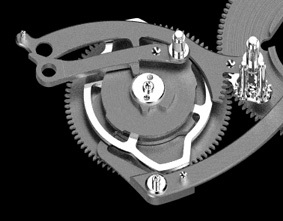 Diana Vishneva is an artist who perfectly embodies the excellence, finesse and sophistication of the watchmaking brand. The brand known by its twin stars lends its support to the restoration of three major timepieces led by the Association Automates et Merveilles by sponsoring the restoration of a spectacular Empire-style singing bird pendulum clock operated by a Pierre Jaquet-Droz mechanism. Starting October this year Jaquet Droz celebrates its expertise and rich history with exhibits in the United States, bringing back its magical Métiers d’Art, the beauty of its automaton pieces and the ultimate luxury of customization. The Grande Seconde Dual Time keeps cadence with history, resonating with the rhythm of the journeys made by Pierre Jaquet-Droz in the 18th century. Here is a timepiece that celebrates the magic in a two-beat tempo with a brand new mechanism and elegantly positioned second time zone. Discover four meteorite models in this exclusive Jaquet Droz collection of timepieces, each exuding a mysterious elegance born from the encounter between first class expertise and one of the rarest minerals. Jaquet Droz is presenting its first feminine model of the Grande Seconde SW in 41 mm set with 40 diamonds. A timepiece of radiant modernity, where the thirst for competition meets the love of jewelry. Minerals were always a particular focus for Pierre Jaquet-Droz, who held them in special affection. Rocks, crystals and minerals remind us that nature is an artist. Born in the depths of our planet or in the farthest reaches of the universe, they inspire a rare and inexhaustible emotion. As Presenting Partner of the Béjart Ballet Lausanne, Jaquet Droz hosted a cocktail reception for its friends to coincide with six performances at the Beaulieu Theatre from June 7 through 12, 2016. The spirit of Jaquet Droz takes on a new incarnation in this line of exceptional timepieces, a celebration of the magnificent decorative art of paillonné enameling. 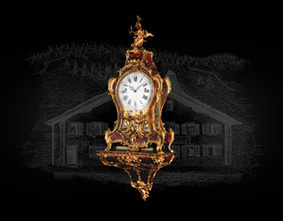 This landmark in artistry and watchmaking brings together the legends of the past with the finest of the present. Les Ambassadeurs invites you to discover the heritage and expertise of Jaquet Droz at a unique exhibition in the heart of Zurich. Jaquet Droz welcomed the opportunity to present its 2016 creations at Baselworld. The Grande Seconde Off-Centered embodies the essential Jaquet Droz design codes, balancing a sense of history with sheer, modern elegance. The inauguration in 2015 of four new single-brand boutiques in China bears testimony to the Swiss watchmaker's desire to celebrate its long-standing ties with the Middle Kingdom. 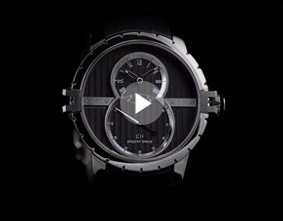 Jaquet Droz is deeply moved to be rewarded by the Grand Prix d’Horlogerie de Genève. The Jaquet Droz Charming Bird is the winner in the "Mechanical Exception" category, which distinguishes watches that present a special mechanism or other original or exceptional horological concept. For nearly three centuries, Jaquet Droz has placed time under the banner of astonishment, excellence and constantly renewed creativity. 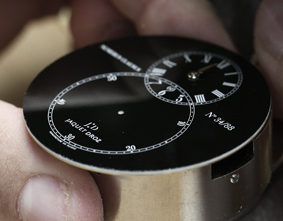 Jaquet Droz has also added a sense of exclusivity to this unique philosophy through customization. Jaquet Droz has introduced the Asian art of eggshell mosaic to the world of watchmaking. The result? A masterpiece of miniaturization and poetry. With the Grande Heure Minute Quantième, Jaquet Droz brings together its historic aesthetic codes in a contemporary watch with a unique identity. Created for the Only Watch charity, this unique piece embodies the expertise and creativity of Jaquet Droz. Jaquet Droz is proud to present the Ninth Symphony for the first time in Monaco, a superlative production of unprecedented stature with more than 250 artists on stage. As the official presenting partner of Béjart Ballet Lausanne, Jaquet Droz shares its excitement about its participation to The Ninth Symphony, an amazing production with an exceptional scope. Jaquet Droz Singing Bird Scent Flask was one of the centerpiece of Sotheby’s watch auction yesterday in New York. With historic links to China that date back several centuries, the Swiss watchmaker now unveils its first showcase in the capital of the People's Republic. The brand known by its twin stars pushes the limits of decorative techniques by blending engraving and enameling on this naturalistic model. Jaquet Droz welcomed the opportunity to present its 2015 creations at Baselworld. Jaquet Droz fills the early days of 2015 with light by unveiling a star-born aventurine: Sunstone. The 277 year-old prestigious watch brand – Jaquet Droz, its boutique in Macau the Landmark has been renovated recently to offer an upgraded luxurious shopping experience to its customers. Excellence, a value cherished by Jaquet Droz and the Béjart Ballet Lausanne, is instilled in the trainee dancers of the Rudra Béjart School. The tradition is now established: every Chinese New Year Jaquet Droz observes the change in the zodiac cycle with a model celebrating a rare technique or new craft skill practiced in its Ateliers d'Art. It is a way for the brand known by its twin stars to pay tribute to its ties with China since the 18th century. The reopening of the Jaquet Droz boutique in Shanghai on November 14, 2014 marks the beginning of a new chapter in a history that reaches back well over two centuries. 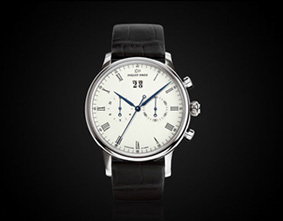 The protagonists are Jaquet Droz and China, and the themes are trust, mutual fascination and excellence. The Béjart Ballet Lausanne company, in collaboration with the Tokyo Ballet, interprets Maurice Béjart's legendary choreography of the IX Symphonie, while JD celebrates dance and movement by revealing two exclusive versions of the Petite Heure Minute. When Jaquet Droz thought to the women and their feminity, it reveals a sparkling and shiny eight. This fall Jaquet Droz brings the Enchanted Journey Exhibit to The Shops at Crystals in Las Vegas. Jaquet Droz rekindles the magic of watchmaking in the Age of Enlightenment with the Museum Pocket Watch. Lost in the dark blue of the night, Jaquet Droz offers you the opportunity to capture the night in a dial. Within the inert immensity of the Earth lies a radiant treasure. Rocks, crystals and minerals remind us that nature is an artist. Jaquet Droz, as exclusive Presenting Partner of the Béjart Ballet Lausanne directed by Gil Roman, has delighted their guests gathered in Versailles for a wonderful evening. More than two and a half centuries later, Jaquet Droz invites you to dive into the magic of Versailles, in collaboration with the Béjart Ballet Lausanne – of which it became the Presenting Partner in 2013 – under the direction of Gil Roman. 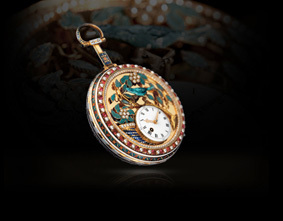 In tandem with Rivoli, Jaquet Droz brought to Dubai the master creation of the Enamel Dial Painting craftsmanship. Three exclusive, limited edition models showcase the virtuoso technique of paillonné enameling, perfected by the artist craftsmen of Jaquet Droz. The art of automata interpreted by Jaquet Droz. An eminent watchmaking family in the early 18th century, the Jaquet-Droz family left behind them an incredible legacy, of which the most famous pieces are three humanoid automata. Jaquet Droz and the Béjart Ballet Lausanne officially announced their partnership last December 19th in Lausanne. Jaquet Droz and the Béjart Ballet Lausanne have signed an other-worldly collaboration. A collaboration of two worlds that bring magic to the present moment and share a common vision of a rich past and promises for the future. The horse has been a key part of Man's history since the beginning of time. In 2014, China will mark the arrival of a new year with this sign, the seventh in the Chinese zodiac, which is celebrated by Jaquet Droz every year. THE GRANDE HEURE GMT PAYS TRIBUTE TO PIERRE JAQUET-DROZ’S MANY TRAVELS. In an expert blend of mastered skill by the Jaquet Droz craftsmen, the Petite Heure Minute Relief Seasons offers a new aesthetically-pleasing performance while reinventing tradition. Jaquet Droz presents The Loving Butterfly, a watch produced as a single original piece for the 5th annual Only Watch event. On June 14, 2013, Jaquet Droz will be officially opening its very first store in mainland China, thus strengthening its ties with the Middle Kingdom. On 24th May, 2013, International Antiques Fair 2013, organized by renowned antique expert Chak’s Investment Limited, officially opened at Hall 5G of the Hong Kong Convention and Exhibition Centre. Jaquet Droz is investing in a new location at the heart of the Shoppes Grand Canal. Jaquet Droz celebrates in 2013 its 275th anniversary, maintaining the avant-garde spirit and refined taste that distinguished its founder. With the Petite Heure Minute 35 mm, Jaquet Droz forges an unconventional steel and mother-of-pearl tribute to contemporary femininity. In 1774, Pierre Jaquet-Droz (1721-1790), his son Henri-Louis Jaquet-Droz (1752-1791) and their fellow clockmaker Jean-Frédéric Leschot (1746-1824) presented three humanoid automata known as The Writer, The Musician and The Draughtsman, for the first time at their workshop in La Chaux-de-Fonds. Le succès est énorme.